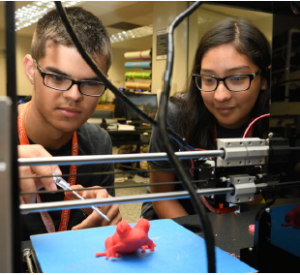 A wave of teenagers swept onto campus this summer, when Syracuse University Summer College for High School Students welcomed more than 600 students from 33 states and 23 foreign countries for the Summer 2018 session. 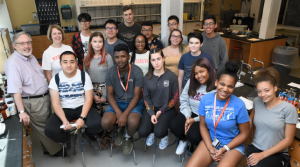 The students, who are rising sophomores, juniors, and seniors in high school, took part in the pre-college experience which offered more than 35 programs in 10 of Syracuse University’s schools and colleges. Each program was two to six weeks long. Waitlists started early for the most popular programs—Sound Engineering and Audio Production, Filmmaking, and Architecture. Innovative new programs introduced in 2018 included Technology in Sport Management, Art & Craft of Animation, and Cybersecurity: Hack-a-thon Challenge. Summer College students can take noncredit and credit-bearing programs, and explore areas of interest as they consider future college majors. They also learn independence and time management, as they navigate campus life and complete college-level assignments. “Summer College prepared me to enter college with confidence,” says Regan Talley, who attended Summer College in 2015 and is now a second-year student at Newhouse. Summer College leaves plenty of time for fun and socializing as well as learning. This year’s students flocked to Ernie Davis Fitness center and attended Friday Night Flicks on the Quad. There were Twilight Tours of campus and weekend field trips to Green Lakes State Park, Darien Lake Theme Park, and Niagara Falls. Students enrolled in the Team and Leadership Academy went on a white­water rafting trip in the Adirondacks.